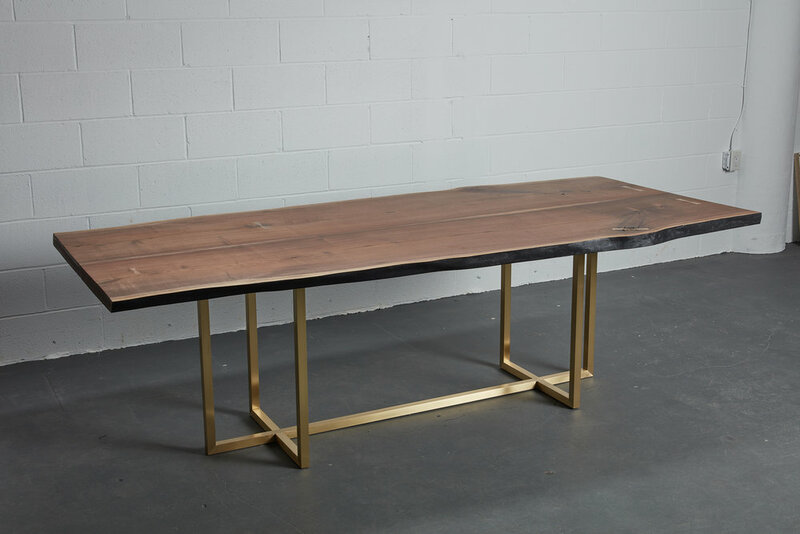 Designed and constructed for a residential space this American black walnut live edge dining table & bench features hand chiseled solid bronze Japanese joinery. Staying true to traditional techniques the live edge is charred with a blow touch to preserve its authentic character- this method is referred to as Shou-Sugi-Ban. The base is custom fabricated and made of solid brushed brass.